I attended a small marketing industry trade show in Sydney today. The exhibition stands were mostly back walls with flat screens and people sitting on stools or lounge chairs. I entered the show and started to wander around. There was a circular walk with an aisle down the middle of a single room. Not too complicated to navigate. I walked passed every stand. At one stand, two male staff were talking to each other blocking the walkway. I excused myself as I walked between them. They let me through without so much as an introduction. In fact, not one person on any of the stands tried to engage with me, despite my enthusiastic body language. And I did shower and use deodorant today. It wasn’t because the exhibition was busy. I visited during the conference speeches, so there were more exhibitor staff than visitors. This is what is called the “Content Marketing” theory of trade show success. As you know the content marketing experts have pronounced selling is dead. All you need to do these days is publish content, your customers will then immediately engage with you and profits will fall from the skies as a result. You don’t have to sell anything. Just chillax and check your phone regularly. This theory has now pervaded trade shows. To succeed, you just put staff on your stand with their smart phones. They spend their whole time staring and playing with their screen, because they don’t have to sell. Prospective customers will engage them if they want to know anything or to buy something. If only the world was digital when I ran my exhibition stands. I could have just hung around all day, gone to the cocktail functions and my KPIs would be met. 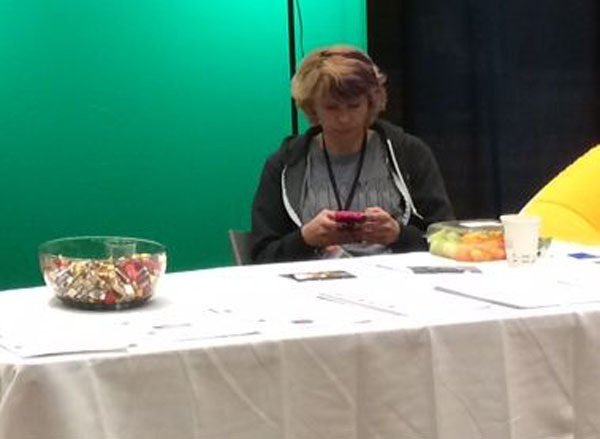 Hmmm, maybe I can create a service providing exhibition stand slaves who charge a fee to stare into phone screens all day? I could use backpackers, they’re cheap and they know how to stare at mobile phones. I’m off to crowd-fund this brilliant idea and open up a social site for people to Like and get the Twitterverse jabbering. Instant retirement, here I come! It was 1994. A wonderful time to be working in marketing. Data was rapidly becoming a key part of marketing activity. All the major categories including packaged goods, financial services, tourism, business equipment, technology, telecommunications, automotive and more, were into data-driven marketing. Even though it was just called ordinary customer data, many now regard that time as the dawn of what is now called BIG DATA. The internet was upon us and loyalty clubs were popping up everywhere, as marketers used multiple contact points to gather data from customer behaviour. Even publishers were experimenting with customised printing. They created content tailored for different segments of subscribers, so the publications were more relevant to their readers. In a farm magazine for example, there would be common content for all subscribers, but a pig farmer would get specific content related to pig farming, while a wheat farmer would get more content related to wheat farming and so on. Data was so fashionable I was already running my second data consultancy as part of my agency, MAD. 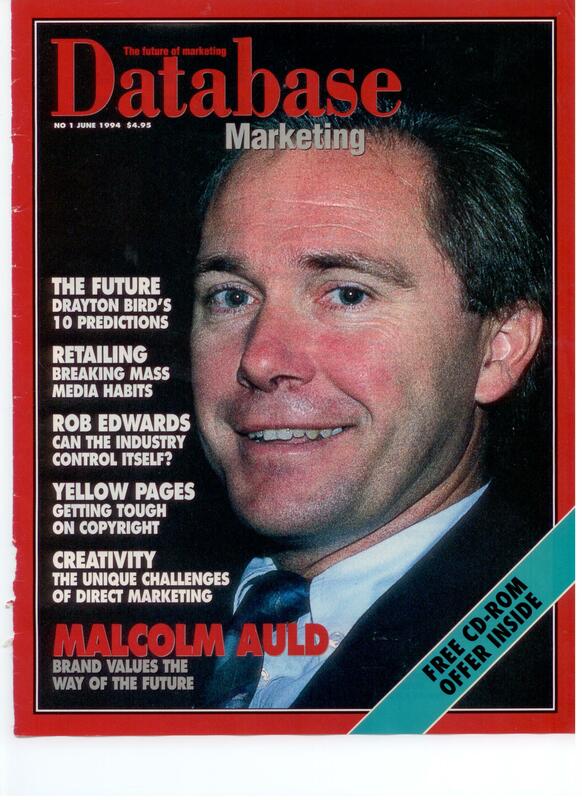 I opened the first in 1988 for Ogilvy & Mather Direct, called DataConsult. In the midst of this, two Englishmen set out to publish a new magazine for the Australian marketing industry – Database Marketing. As anyone who knows the marketing trade magazine industry, it’s damn difficult to get marketing services suppliers to advertise in trade press. The marketing industry prefers to use direct marketing methods to get new business. And just like the popular newsprint industry, the cash cow in the trade press is the classified ads. The magazine struggled to make money. I was keen to have an industry publication focusing on direct marketing, so I invested in the publication to help keep it afloat. I paid for all the artwork design, production and scans. I kept my involvement anonymous, so as not to deter my agency competitors from contributing content. Database Marketing lasted a couple years before collapsing. When things got tough the other two shot through and I was left holding the can and a large debt that had to be paid off – karma will get the other two eventually. But given all the fuss around BIG DATA I thought I’d do some retro posts from original issues of the magazine. The first issue in June 1994, featured a dodgy photo of me on the cover – see above. 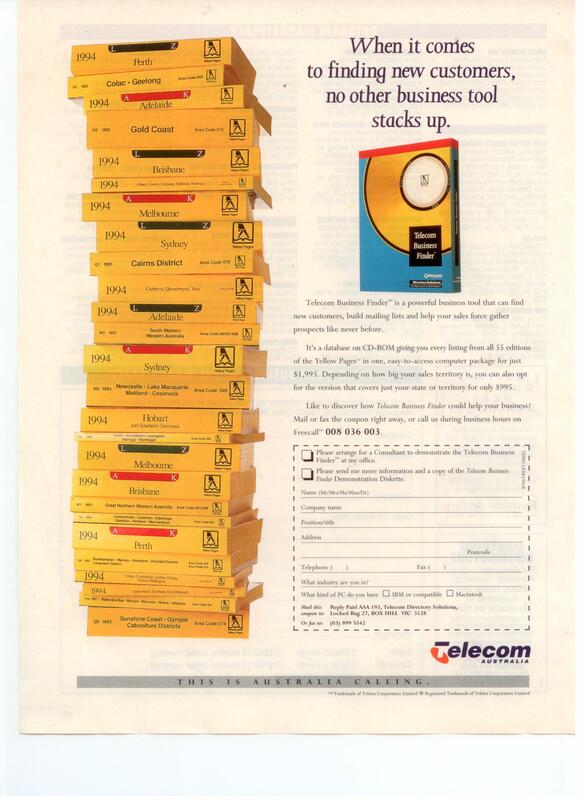 There was a FREE CD-ROM Offer too – how hi-tech! Along with a few others, I was interviewed about the future of marketing, which is always easy to pontificate about, as anyone can make predictions. Now we’re 20 years down the track it will be curious to see how accurate the predictions were, given the internet hadn’t even entered the vernacular at the time of the article. Of interest was my comment on the automotive industry, where I explained how they were becoming publishers of magazines, audio tapes, CDs and other media, rather than relying on mass media to make sales. At least I got lucky with that prediction – now every brand is a content publisher. In my enthusiasm for major brands becoming involved in using data, I suggested that advertising ideas were more important than offers. In hindsight, what I was trying to say was that offers needed to be communicated more creatively, in the way Bill Jayme was creating them at the time. You will rarely get people to react to a brand proposition in the same way you will to an offer, but that’s another blog. I’ve scanned the article – you can download the PDF here. My good friend Drayton Bird also made some insightful predictions – click here to read them. Next to his article, you’ll notice the ad for the Pan Pacific conference, now the ADMA Forum. It was 4-day event back then (only 2 days now), including a day dedicated to the new electronic superhighway. I’ll bet none of the speakers were even close to predicting the implications of the internet. But hey, nobody had a clue about the pending technology advances. There was also a column called Live & Direct with 10 Megatrend Predictions. Hindsight is not kind to them as they are quite lame 20 years on. Mick Reid of Salmat argued that marketers should “break the mass media habit.” You’ll notice an ad with the headline “ONE thousand contacts in ONE hour with just ONE call!” It’s for that amazing technological service – the fax machine. One thousand in an hour. Now it’s 100,000 in a minute with email. Who’d have thought how quick the fax would disappear? There was also a case study on the fledgling Myer Club – Fly Buys was yet to be invented. What is also of interest, is how most of the businesses that advertised in the magazine are no longer around. Some were sold, some just didn’t keep up with the changing times.